We appreciate everyone who was able to attend this year's annual meeting. 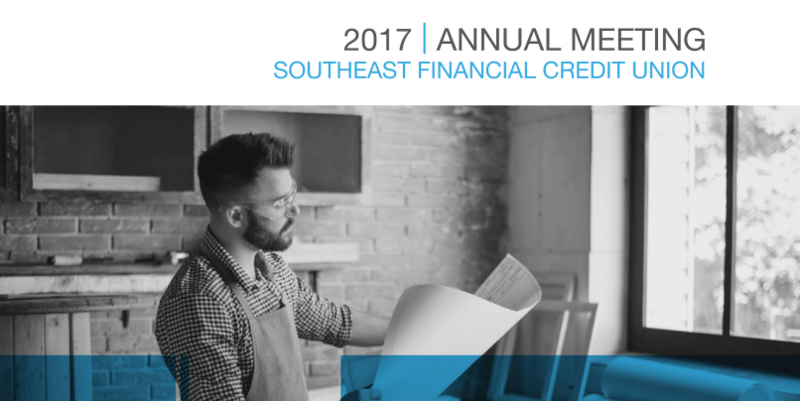 2017 was a strong year for Southeast Financial. As mentioned by all our speakers, we owe that success to you, our members. In 2018, we will continue to listen to your feedback to make Southeast Financial your first choice for all your financial needs. For anyone who was not able to attend the meeting, view the 2017 Annual Report below.